Cannot start Microsoft Outlook. Cannot open the Outlook window. The set of folders cannot be opened. File access is denied. You do not have the permission required to access the file C:\Users\<username>\Documents\Outlook Files\filename.pst. This issue might happen when you're prompted to login to Windows with a Microsoft Account, (Outlook.com, Live, Hotmail, or MSN), instead of your local account. In that case the permission changes were not applied properly. 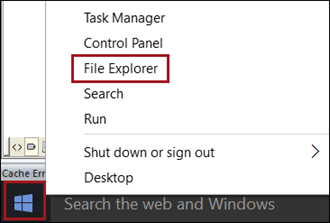 Right click the Start button and select File Explorer. Browse to the file location as indicated in the error. For example, C:\Users\<username>\Documents\Outlook Files\filename.pst. Right click the file and choose Properties. Choose OK until all dialogs boxes are closed. 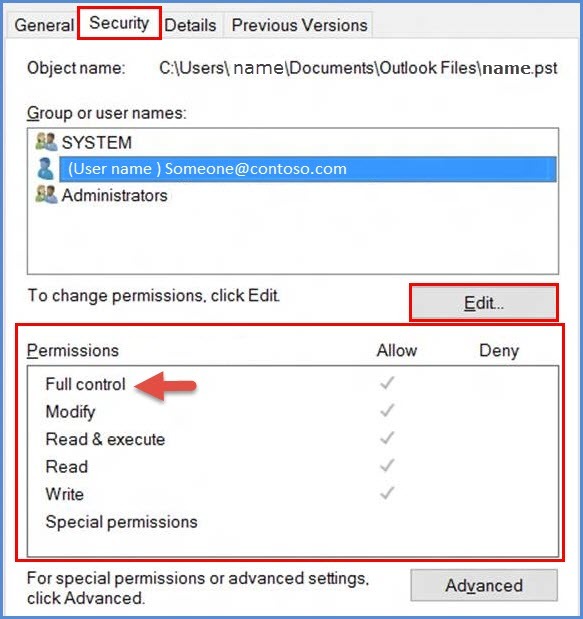 Repeat the same steps for Administrators and System also, to have Full Control permissions.